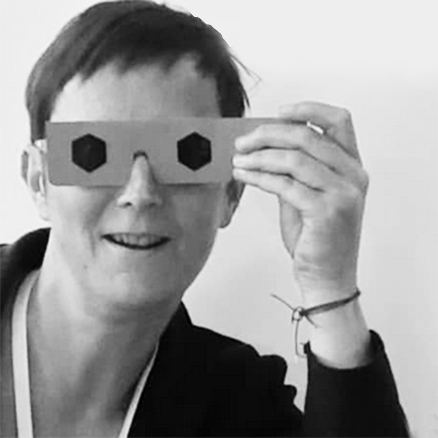 Nathalie Rozot is a phototect and a phototectural critic and the founder of PhoScope. 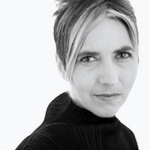 She situated her planning and design practice and academic service in lighting design in 2000, after working for over ten years in product, exhibition, architecture, landscape and urban design, and was a director for l’Observatoire International before starting her own design and research practice in 2006 with a focus on innovative and alternative lighting solutions. Rozot is the recipient of grants from the City of Paris and the New York State Council for the Arts and fellowships from the New York Foundation for the Arts (NYFA), the MacDowell Colony and the Graham Foundation for Architecture. Her lighting designs received awards from the Illuminating Engineering Society (IESNA, IESNYC), fiscal sponsorship from NYFA and the Van Alen Institute and were finalists on prestigious international competitions. 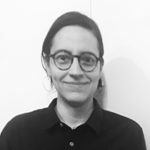 Formerly a professor and senior thesis faculty in Parsons’ Masters program in Lighting Design and senior guest lecturer in landscape architecture Masters programs in Versailles and Lille, she regularly serves as an academic and professional lecturer and juror. She is a former education columnist for the IES’s publication LD+A and she has published and lectured internationally on social and critical issues in lighting. Rozot holds a DEUG in Biology and a Diploma and a BTS from Ecole Nationale Supérieure d’Arts Appliqués Boulle. She is a IES member and an educator member of the IALD. Miina Matsuoka grew up in Vienna, Tokyo and Moscow before she moved to New York City in 1994. She has an extensive background as a business executive in architectural lighting design, and she is currently practicing as an independent consultant and as an artist with a focus on sustainable agricultural and nutritional practices in dense urban contexts. Matsuoka received a BA in Mathematics from New York University and a Masters of International Public Policy at the School of Advanced International Studies, Johns Hopkins University. 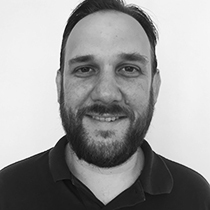 Brian Johnston is a sales professional in architectural lighting with expertise in the LED marketplace and sustainable practices, who has extensive records of product development, new market penetration, and business development and growth. He has implemented innovative digital tools to strategize e-commerce, internal sales management and operations, and developed online resources that promote best practices and expand knowledge about LED products and technologies. The author of a series of educational articles and blogs, he has also led training sessions such as the lighting and control segment of the Austin Energy Green Builder 2009-2011 Certification Program as well as CEUs for customer base. Johnston is a long-standing and committed advocate for civic rights and social and environmental justice. He holds a BA in political science from the University of Texas and a LC from the NCQLP. Marién Vélez is a New York-based lighting designer and artist with several years of professional experience in theatrical and architectural lighting design in Puerto Rico and in the US. Vélez is the founder of 22 Lighting Studio and a founding member and the coordinator of the social lighting group “Lighting In Action” which was launched in 2017 to help low income communities with lighting installations and workshops. She holds a BA in Audiovisual Communication from the University of Puerto Rico and a MFA in Lighting Design from Parsons School of Design in New York. Makale Faber Cullen specializes in ethnography and material culture, and provides project research and strategy for designers, manufacturers, architects, retailers and educators. She is a former Director of Programs at Slow Food USA and the founder of LORE and The Wilderness of Wish, and she recently served as Head of Collections for the Library of Congress’ Occupational Folklife Project. Faber Cullen has taught at CUNY and served on committees and boards for the New York Chapter of the AIA and the Southern Foodways Alliance, and as a juror for the National Endowment for the Arts, the New York and the New Jersey State Councils on the Arts and the Institute for Cultural Partnerships. She holds degrees in Cultural Anthropology including a BA from George Mason University and a MA from the University of Virginia where she was a Commonwealth Fellow for Doctoral Studies. Sophie Bruère is a light artist and designer who has lived in London, Paris and New York. She began her career in Ron Arad’studio in London and has worked with Yann Kersalé and at l’Observatoire International on urban light installations and design projects. In 2000, she launched an independent art and design practice in 2000 with a focus on lighting works in public space that support social change. Bruère is the founder of the nonprofit Art Sponsor and the organizer of the “Gout de la Lumière” events. She has taught lighting at l’Ecole Bleue in Paris and the Ecole Nationale Supérieure de Paysage in Versailles and Lille. Bruère holds a degree from the Ecole Nationale Supérieure des Arts Décoratifs. 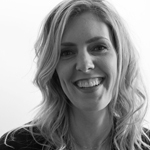 Brooke Silber Carter co-founded Jan & Brooke Luminae with Jan Moyer. She is a lighting designer with a wide ranging experience on diverse assortment of projects including large-scale public works, corporate facilities, retail establishments and residences. 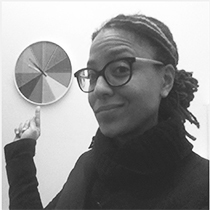 She contributes to the lighting design community in multiple capacities, she is part-time faculty at Parsons the New School for Design, and she serves on professional committees such as for the IES. Margaret Maile Petty‘s research investigates the discourse, production, and representation of lighting design within modern architecture and interiors. After completing her doctoral studies at the Bard Graduate Center (NYC), she has focused on innovation in design education through teaching, curriculum development, programme and school management. Brian McGrath is the founder of Urban-Interface and a principle researcher in the Baltimore Ecosystem Study. 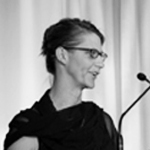 McGrath served as a Fulbright Senior Scholar in Thailand, an India China Institute Fellow, Dean of Parsons School of Constructed Environments as well as the Research Director in the US-EU Transatlantic exchange program Urbanisms of Inclusion. 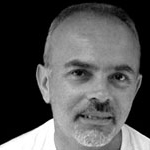 Roger Narboni, PLDA, ACE, founded Concepto in 1988 and has since realized more than a hundred lighting master plans for cities worldwide. He is the founder and past president of the non-profit Concepteurs Lumière Sans Frontières, and a co-founder of the Association Concepteurs Eclairage. 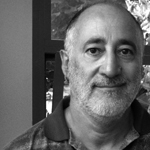 He is the author of several books and many other publications on lighting. 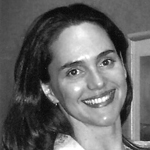 Maria Thompson formerly practiced as a lighting designer and a principal applications scientist. Her main area of research comprised automated tunable LED systems for energy performance involving design & development of LED systems, as well as experiments to assess visual perception. She received a Ph.D. in Computation and Design from MIT.